First brought to the world’s attention by the famed French marine biologist Jacques Cousteau in 1971, the Belize Barrier Reef has become one of the world’s most popular destinations for scuba diving thanks to its rich eco-system thriving with an abundance of marine flora and fauna. The reef is actually several reefs – Charles Darwin was amongst the first European visitors to the reef and he used a special method of categorizing the reef into three sections: the barrier reef proper, atolls, and the fringing reef. Many modern oceanographers include small patch reefs as a fourth category, usually found in lagoons. The Belize Reef is part of the Mesoamerican Barrier Reef System – Stretching for hundreds of miles on the Caribbean coast of Central America, the Mesoamerican Reef is the second-largest barrier reef system in the world. 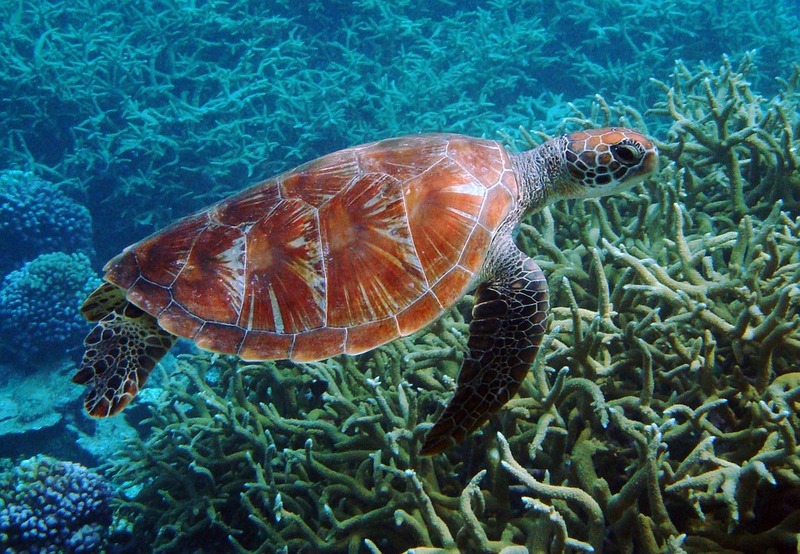 The Belize Barrier reef comprises some 35% of its total length but more than 80% of its area. The Belize Barrier Reef is the biggest double barrier reef in the world – Only six reef systems in the world are classified as “double barrier reefs”, a term used for describing a barrier reef that independently flanks a second barrier reef. It can be seen from space – Recent photographs and video transmitted from the International Space Station depict the Belize Barrier Reef in all of its glory. Hundreds of miles long, the reef is one of just two living organisms big enough to be seen from orbit. The Belize Barrier Reef has more coral atolls than anywhere else – Atolls are small islands made from coral. While several exist in the Indian and Pacific Oceans, three exist in Belize: Lighthouse Reef, Turneffe Atoll, and Glover’s Reef. The Belize Barrier Reef is a UNESCO World Heritage Site – First designated in 1996, the Belize Barrier Reef contains seven different protected marine reserves: Bacalar Chico National Park, Blue Hole Natural Monument, Glover’s Reef Marine Reserve, Half Moon Caye Natural Monument, Laughing Bird Caye National Park and Sapodilla Cayes Marine Reserve. If you are interested in snorkeling and scuba diving the Belize Barrier Reef, feel free to send us an email or call 1-800-890-8010.